Home / Articles and Stories by Njkinny / Indi-Happy Hours / IndiBlogger / Stories by Njkinny / A dry baby makes a happy baby! A dry baby makes a happy baby! 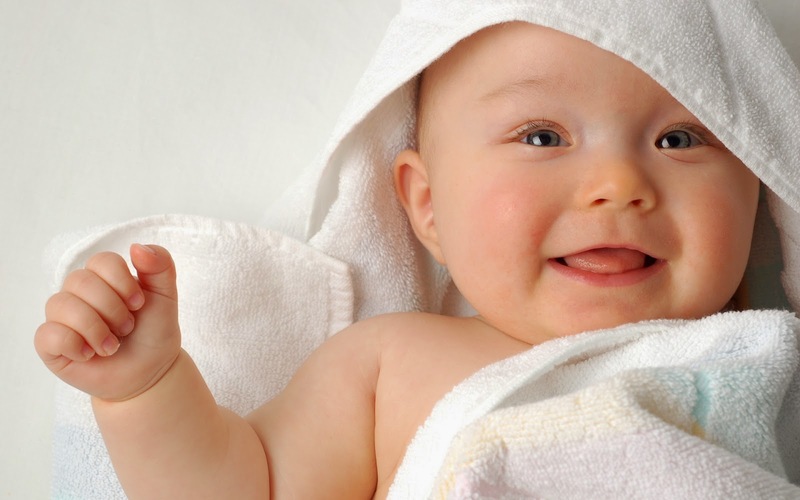 Babies are happy in their own world but this happiness ceases when they are hungry and when they are wet. I have seen my niece turning from a smiling, cuddly and cute baby to a rambunctious, tantrum throwing and crying baby that has the whole household at their wits end trying to calm her down.My sister can be seen trying to sing to her rowdy daughter, cuddling her, trying to feed her, placing the baby's favourite toys near her and any and everything that she thinks will make the little one happy again. One day, I happened to visit her and saw the baby sobbing uncontrollably with the entire family trying to calm her. I asked my sister if the baby was hungry but she told me that they had just fed her. Asking about the nappy too yielded me the same reply. It had been changed just an hour back and even if it was wet it would not be wet on the outside but hearing this had me asking my sister this question. "What if the diaper is wet on the inside? Wont that make the baby uncomfortable?" "Maybe. I never thought of this." She replied. "I think you should change her diaper and get her Pampers Baby Dry Pants which keeps the baby dry not only from the outside but also from inside and so, keeps them comfortable and happy. I could see that I had got my sister thinking. Within a minute she stood up, picked up the baby and went towards the diaper changing table and started changing her daughter's diaper. I didn't know what she had decided so I sat silently watching her. After she had changed the diaper, she came towards me and said, "You are right, Nikki. I am going to the nearby store to get Pampers Baby Dry Pants. Will you come with me?" "Sure." I stood to join her and we went and bought the dry pants. It was almost a month after that day that I got another chance to visit her. When I entered her house I saw little Aisha playing with her toys on the floor and as I sat beside her, she smiled her toothless smile at me. She looked happy and content. "Nikki! I am so happy to see you." My sister spoke as she entered the room and saw me sitting with her daughter playing. "Aisha looks happy." I smiled at my sister. "Thanks to you, now she is always happy except when she is hungry." She told me as she sat down beside us. "You told me about Pampers Baby Dry Pants. Buying it was the best decision that I made. It is so comfortable with no chance of rashes because it keeps the baby dry both from inside and outside and is easy to wear. It's just like pants with a soft band and Aisha just loves it which has made me very happy too." She patted my hand lovingly while we smiled at each other. "No problem sis. I am happy that you and Aisha are happy." This was the way we got our beloved Aisha to return to her sweet and happy self. After this experience my belief has strengthened that a dry baby makes a happy baby and so ultimate care should be taken in keeping them dry and comfortable. Thankfully, Pampers thought of our babies' comfort and have come up with a pant style diaper which is soft, easy to wear and designed such that it keeps the baby comfortable, at ease and most importantly, dry! Watch this sweet video and have your baby smiling and happy always, just like the one in this video by using Pampers Baby Dry Pants!